Who doesn’t want cute sewing accessories for themselves - or as sweet gifts for sewing friends! 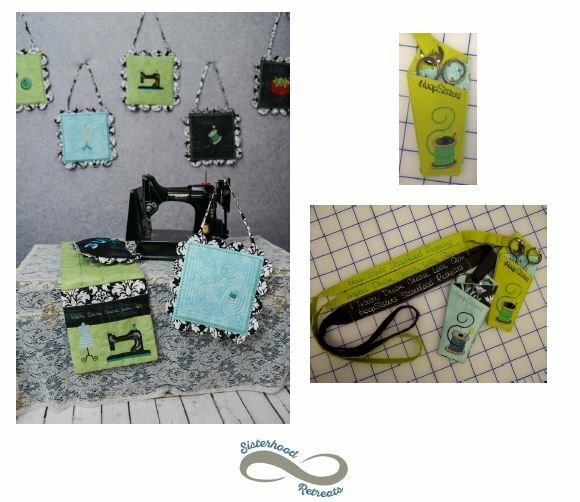 We’ve designed a great Sewing Lanyard to hold your mini HoopScissors and a couple of other essential tools at your fingertips. Next we have 6 adorable mini wall hangings with scalloped edges, easy, fast, and make great gifts! Last but not least we have a very functional Ironing Board Organizer. Keep things like Pins, Spray Starch, Scissors, and Rulers at your fingertips without cluttering up your ironing surface.